Who directed the cover-up, Dean or Haldeman/Ehrlichman? This is my key issue. Dean has admitted that he was “chief desk officer” of the cover-up, but claims he was acting under the direction and control of Haldeman and Ehrlichman (which they denied to their graves). 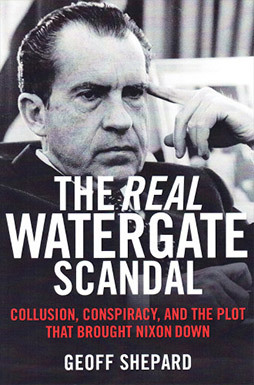 They didn’t discuss Watergate with other staff members, so it’s them or Dean – and the jury obviously believed Dean. But, I don’t believe that Dean ever told them any specifics of his activities. Oh, he told them he was working hard “to contain” the situation – everyone knew that was Dean’s responsibility — but I doubt he ever got around to mentioning the specific criminal acts being undertaken. Dean had every reason to enable them to claim “plausible deniability” – and certainly did not want to mention his own risk of prosecution from attending the initial meetings in Mitchell’s office.